It’s not uncommon to drink a warm cup of milk before bed. It is, after all, what “grandma” always recommended for a good night’s sleep. But the newest trend is what’s called “Golden Milk,” which, ironically, is not milk at all (at least in the dairy sense). Traditional Golden Milk is actually coconut milk, mixed with a special turmeric paste that gives it that nice, golden colour. Turmeric is quickly rising as a superstar on the natural health list of best medicinal and therapeutic plants. While anyone who cooks or likes to eat Indian food, knows how important turmeric is for curry dishes. This powerful plant has also been used for centuries for its medicinal properties—and there are many. In fact, curcumin, the bioactive polyphenol contained within turmeric, have been shown in numerous studies to have over 150 potential medicinal and therapeutic properties, which according to a study published in Natural Product Reports in 2011, have been shown to support health and protect against a vast array of health conditions including lung and liver diseases, inflammatory diseases, neurological diseases, cardiovascular diseases, autoimmune disorders and metabolic diseases (1). Curcumin is essentially one of the most potent anti-inflammatories in nature. Countless studies show that almost every chronic disease can be attributed to inflammation of some sort, which is what makes the curcumin in turmeric so special. Today, most people live on what researchers now term “an inflammatory diet” — any diet high in processed foods, sugars, and/or grains. While diet is not the only cause of inflammation, it definitely plays a huge role in your overall health. 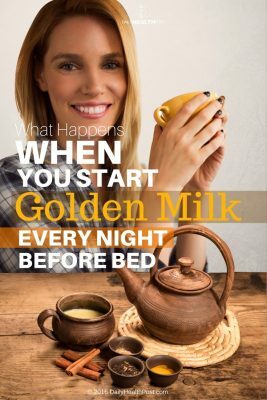 And if you do nothing at all to change your current diet, drinking a cup of golden milk every night before bed can at least help offset the harmful effects caused by an inflammatory diet. 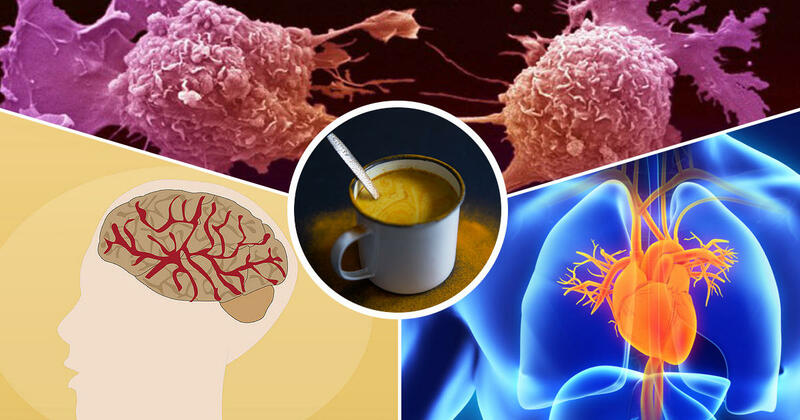 Curcumin can also help in cancer cases, by essentially cutting off the blood supply (preventing the development of additional blood supply sources) that are needed for cancers cells to grow and survive.